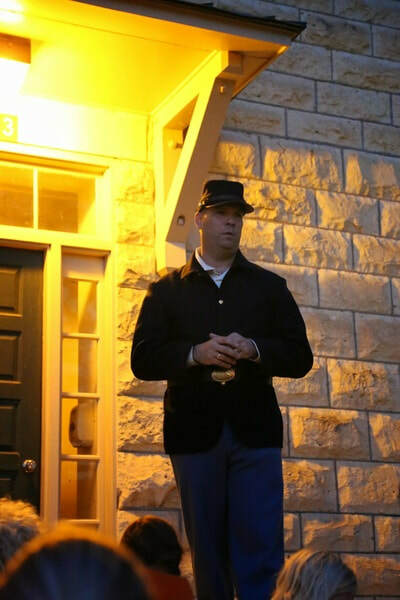 The HASFR Ghost Tours are based on the experiences of residents of Historic Main Post. This is a free event to Fort Riley and the surrounding communities. Each year the event is created by HASFR hostesses, which in the spirit of the event, we refer to as Ghostess and Ghost Host. The current Ghostesses are Tricia V. and Shauna L. HASFR also sells the complete collection of ghost encounters in three books that can be purchased as a set or individually. 2018 Ghost Tour was a huge success. Thank you to all that participated. Volunteering for HASFR - Volunteering for Ghost Tours is an unique opportunity!! We need many volunteers to help make this amazing event successful! To inquire about and volunteer for HASFR contact: hasfrvolunteering@gmail.com.